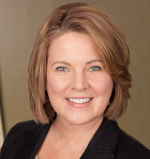 Pam O’Neal is a technology marketing executive with more than 20 years of experience in big data, IoT, cloud, cybersecurity, and network management. Today, Pam is the Senior Vice President of Marketing at Absolute Software. Pam is responsible for global marketing, including reputation management, though leadership, product marketing, field marketing and industry analyst relations. Pam joined the company from Ryft, and prior, Rackspace, a $1.5 billion cloud hosting, big data, e-commerce, SaaS, and managed virtualization provider, where she held the position of Vice President of Marketing. Prior to that, she ran worldwide marketing for Ixia (Nasdaq: XXIA) after the company acquired BreakingPoint. Pam joined BreakingPoint in 2008 and is credited with helping to drive the company’s growth and brand reputation from a pre-revenue startup to the market leader in performance and security testing appliances. Pam also held leadership positions at NetQoS (now CA) and Pervasive Software (now Actian Corporation). Pam’s work and writing has been included in Digital Body Language, Center for Application and Threat Intelligence, Network Performance Daily/Service Assurance Daily, and Threat Post. She earned a Bachelor of Business Administration degree from the Red McCombs School of Business at The University of Texas at Austin. The function of the IoT Community, is to focus on the adoption & application of IoT in commercial environments, seeking to understand & contribute to applying the technology or overcoming the wide variety of barriers, inhibitors, and technical & operational issues. As a member of the board, Pam will provide impartial input and guidance to the overall vision, strategy and execution that is helping to shape the current and future direction for the IoT Community, as well as the broader IoT industry.